Mimi for Scarecrow, The Bespoke Leather Bottle Bag. 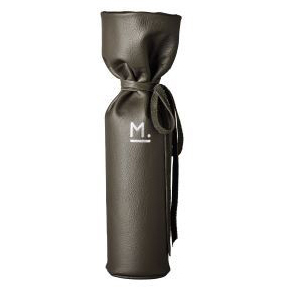 Mimi DeBlasio has designed the M. Étain Bottle Bag in richly grained graphite gray glove leather, hand stamped in silver foil. A chic transport for your 750ml bottle.